Yes, it's almost Freebie Friday and I have been busy preparing a couple of special textures just for you. 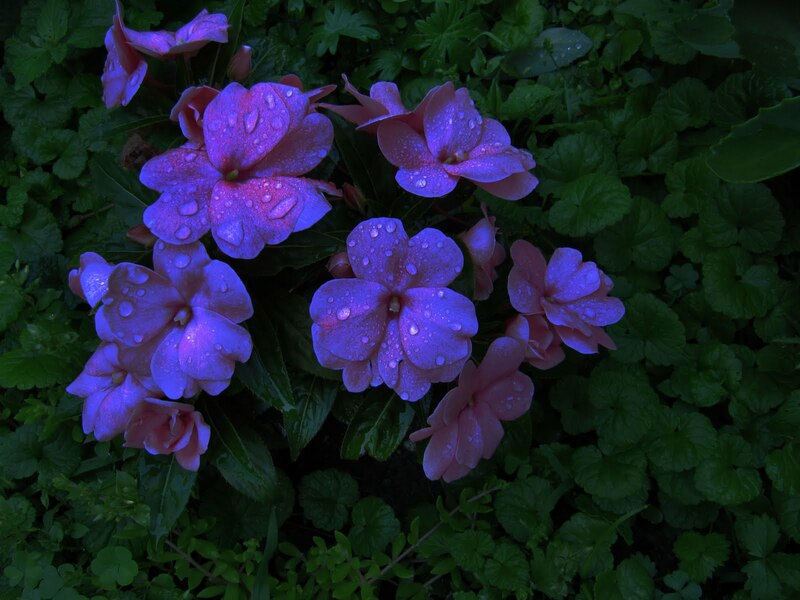 Look what the first texture did to this little photo of exotic impatiens! I blended texture and photo in Color Burn at 85% opacity and used a layer mask to lighten up the leaves around the flowers a bit. Marrying the pixels of this photo and texture really made the petals and raindrops pop! Yes, it's a dark image because of Color Burn, but I just could not resist the way the texture added sparkle to the water droplets on the flower in this blending mode. And here is the texture that makes that kind of magic. I call it PDPA POW! It adds intensity to all elements in your photo and really gives your colors some punch. 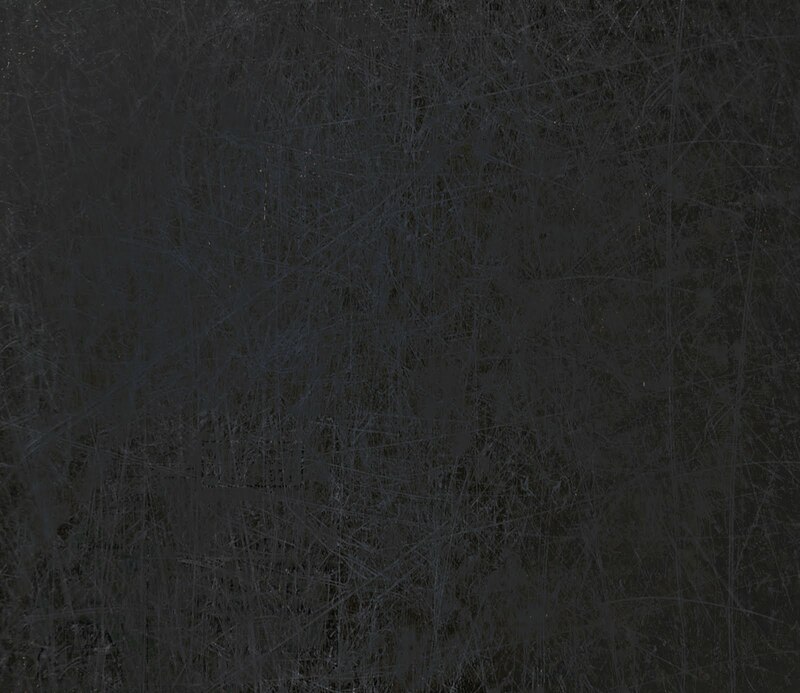 Yes you can get less dark results by using this dark texture in Screen, Lighten or Soft Light if you are not into the "pop & wow" possibilities as I am. To download this free gift all you have to do is 'smile' :-) and click HERE. Are you smiling? Oh, and look at this digital edit. Don't you love the effect? Took this SOOC photo of some Queen Anne's Lace growing wild where I often walk. It seemed to need a little something, so I added the texture below. 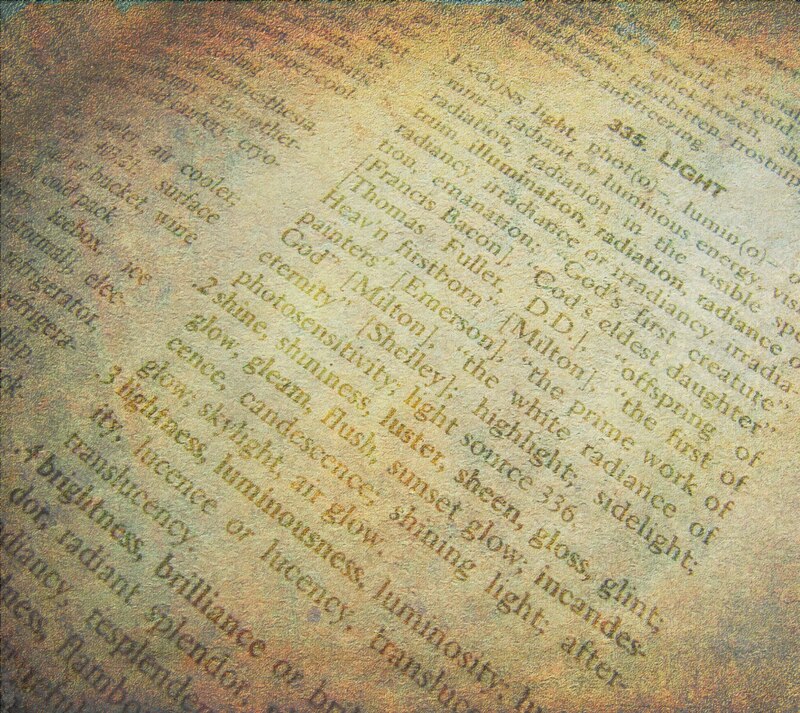 I call this texture PDPA Light Dust. To achieve the effect above, I blended it in Overlay, reducing the opacity to 75% and using a layer mask to remove the texture from the flower and some of its stems. It adds a nice golden border around any photograph. and follow the instructions from Mediafire for download. I love receiving links to the images on which you apply my textures and do my best to visit and comment. Have fun playing with these two textures and don't forget to read the terms for free downloads. Have a wonderful, safe summer weekend! 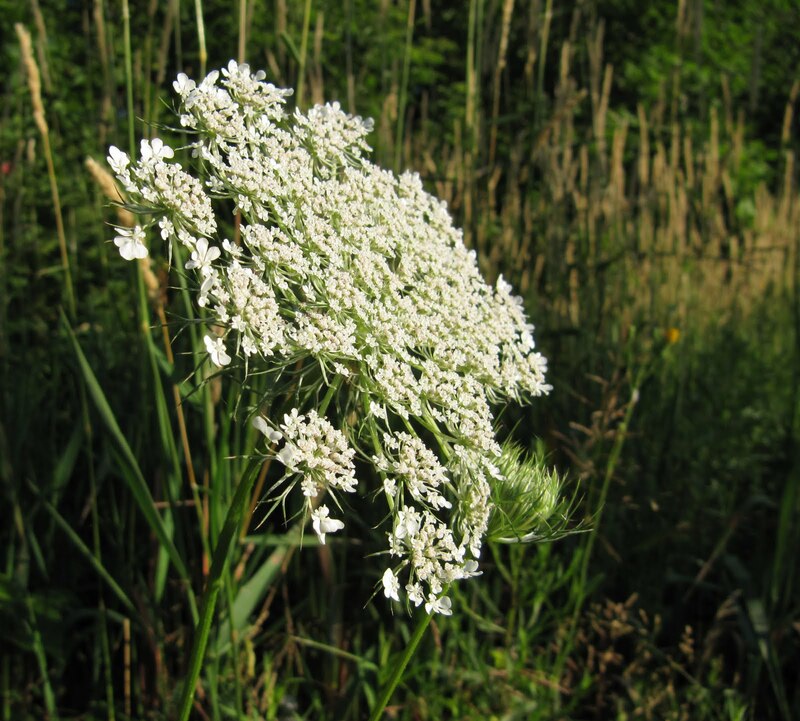 I am sharing the image of Queen Anne's Lace above in Nancy's weekly "Your Sunday Best". I hear she has another wonderful giveaway for us (a painting from Green Tuxedo) - as well as her own beautiful photo art. Click on her button to check it all out. 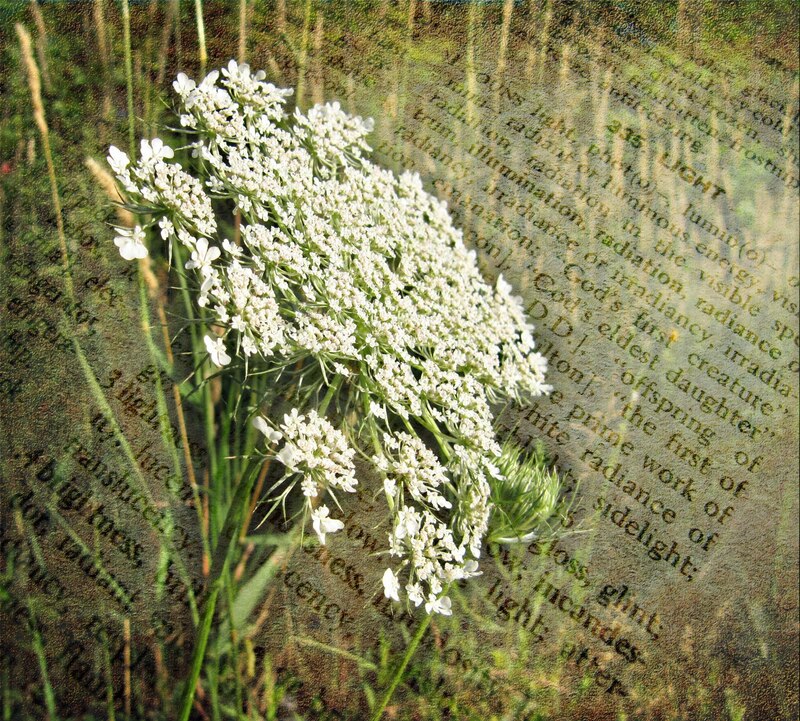 I will also be sharing the photo of Queen Anne's Lace in Lisa Gordon's, The Creative Exchange this week. Lisa hosts a wonderful link-up where you can share your work with others and discover many other like-minded artists. Click on her hydrangea button and join us! I cannot tell you how gorgeous I think that impatiens is Bonnie!!! You are truly an amazing artist, and I thank you so much for sharing your work. I hope your Thursday was a wonderful one in every way. Wow...I love effects of PDPA Pow! I can't wait to try it out. I'll be sure to post a link when I do. Thanks so much for your wonderful textures and creativity. Wow, two wonderful texture´s. I love them. Both pictures are amazing. The first one is very very beautiful. Stunning ! I do like the sparkling water drops in that first photo! Great photos!!! Thank you for the freebie! Bonnie, just stopping back to say thank you so much for linking up today at The Creative Exchange. It is always such a pleasure to view your wonderful work! I really like the textures you create and how you apply them. Thank you for making them available to us. Absolutely gorgeous shots...Lovin your texture work. Thank you so much for allowing your textures for free download, I look forward to using them and will link back to you!! Such a gorgeous image! Thanks for sharing the textures. I tried to download the PDPA Light Dust but it got "File Not Found." Love what you did with those impatiens!